Biologists at UC San Diego have discovered a chemical that offers a completely new and promising direction for the development of drugs to treat metabolic disorders such as type 2 diabetes—a major public health concern in the United States due to the current obesity epidemic. Their discovery, detailed in a paper published July 13 in an advance online issue of the journal Science, initially came as a surprise because the chemical they isolated does not directly control glucose production in the liver, but instead affects the activity of a key protein that regulates the internal mechanisms of our daily night and day activities, which scientists call our circadian rhythm or biological clock. Scientists had long suspected that diabetes and obesity could be linked to problems in the biological clock. Laboratory mice with altered biological clocks, for example, often become obese and develop diabetes. 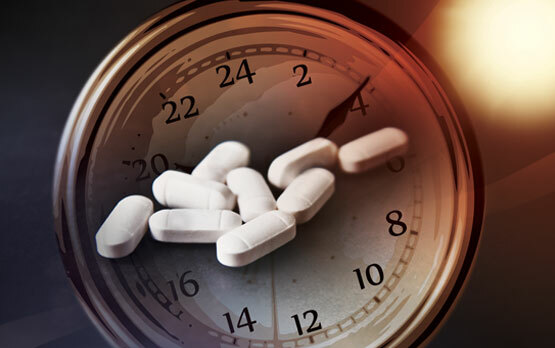 Two years ago, a team headed by Steve Kay, dean of the Division of Biological Sciences at UC San Diego, discovered the first biochemical link between the biological clock and diabetes. It found that a key protein, cryptochrome, that regulates the biological clocks of plants, insects and mammals also regulates glucose production in the liver and that altering the levels of this protein could improve the health of diabetic mice. 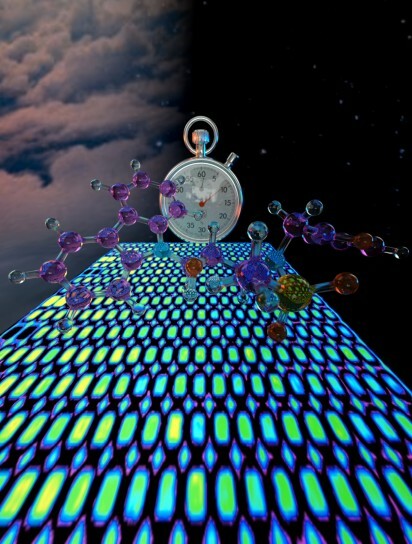 Now Kay and his team have discovered a small molecule—one that can be easily developed into a drug—that controls the intricate molecular cogs or timekeeping mechanisms of cryptochrome in such a manner that it can repress the production of glucose by the liver. Like mice and other animals, humans have evolved biochemical mechanisms to keep a steady supply of glucose flowing to the brain at night, when we’re not eating or otherwise active. Diabetes is caused by an accumulation of glucose in the blood, which can lead to heart disease, strokes, kidney failure and blindness. In type 1 diabetes, destruction of insulin producing cells in the pancreas results in the high blood sugar. In type 2 diabetes, which makes up 90 percent of the cases, gradual resistance to insulin because of obesity or other problems, leads to high blood sugar. Kay and his collaborators discovered in 2010 that cryptochrome plays a critical role in regulating the internal timing of our cyclical eating patterns, timing our fasting at night with our eating during the day to maintain a steady supply of glucose in our bloodstream. Other researchers have recently discovered that cryptochrome also has the potential to reduce high blood sugar from asthma medication by adjusting the time of day a patient takes their medication. “We found that if we increased cryptochrome levels genetically in the liver we could inhibit the production of glucose by the liver,” said Kay. What he and his team found in their most recent discovery was that a much smaller molecule, dubbed “KL001” (for the first such compound from the Kay Lab), can regulate that activity as well. It slowed down the biological clock by stabilizing the cryptochrome protein—that is, it essentially prevented crypotochrome from being sent to the cellular garbage can, the proteasomes. The discovery of KL001 was serendipitous, a complete surprise to the scientists that came about from a parallel effort in Kay’s laboratory to identify molecules that lengthen the biological clock. Two years ago, Tsuyoshi Hirota, a postdoctoral fellow in Kay’s laboratory found a compound that had the greatest effect ever seen on circadian rhythm, a chemical the biologists dubbed “longdaysin” because it lengthened the daily biological clocks of human cells by more than 10 hours. Continuing his search, Hirota resumed his efforts to find more chemicals that lengthened or slowed down circadian rhythms, enabling the scientists to understand more about the intricate chemical and genetic machinery of the biological clock. He and his colleagues in Kay’s lab did this by screening thousands of compounds from a chemical library with human cells in individual micro-titer wells in which a luciferase gene from fireflies is attached to the biological clock machinery, enabling the scientists to detect a glow whenever the biological clock is activated. Their molecular fishing expedition came up with a number of other compounds, one of which was KL001. Kay’s team turned to biological chemists in Peter Schultz’s laboratory at The Scripps Research Institute to characterize the compound and understand better chemically how it affected cryptochrome to lengthen the biological clock. 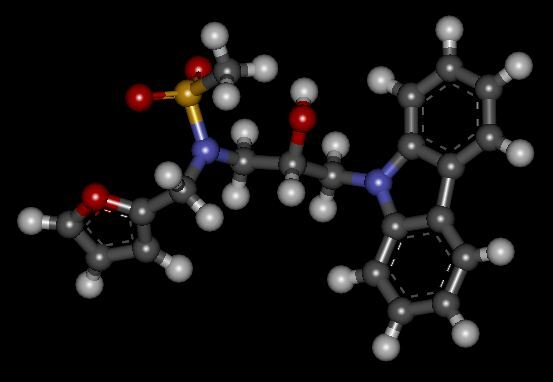 Based on that mathematical model, the scientists predicted that adding KL001 to mouse liver cells should stabilize cryptochrome and that the increased level of cryptochrome would inhibit the production of enzymes in the liver that stimulate the process of gluconeogenesis—the generation of glucose during fasting. Experiments done together with the laboratory of David Brenner, dean of the UC San Diego School of Medicine and Vice Chancellor for Health Sciences, confirmed that prediction to be true. Besides Kay, Hirota, Schultz, Doyle and Brenner, other scientists involved in the discovery were Mariko Sawa, Pagkapol Y. Pongsawakul and Tim Sonntag of UC San Diego’s Division of Biological Sciences; Jae Wook Lee of TSRI; Peter St. John of UC Santa Barbara; Keiko Iwaisako, Takako Noguchi and David Welsh of UC San Diego’s School of Medicine. The study was supported by grants from the National Institutes of Health (GM074868, MH051573 GM085764, GM096873, MH082945).